THIS CD VERSION OF 'DOCTOR WHO - SERIES 7' IS THE JEWEL CASE PRODUCT. Silva Screen’s eighth Doctor Who soundtrack release since 2006. 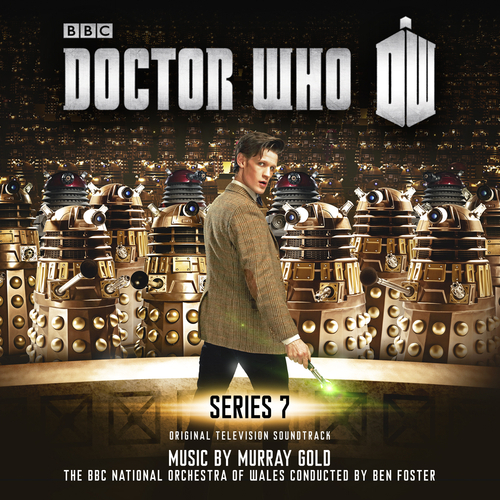 Long awaited by the fans, Series 7 has been uniquely made up of 13 self-contained stories and this 2 CD set offers a feast of new Murray Gold signature themes with music from each and every story. Gold’s phenomenal output as a composer began close to twenty years ago and he has stacked up five BAFTA nominations (two for Doctor Who) plus three Royal Television Society nominations and a win for Queer As Folk. In 2013 Murray Gold celebrated one his greatest musical accomplishments with a third Doctor Who Prom at the Royal Albert Hall. Murray Gold - What Is His Name?